Pump Applications. Shrewd agricultural producers in every state use Crisafulli's portable PTO powered trailer pumps for high-volume water transfer. A 16" Crisafulli will pump an acre-foot of water in thirty-three minutes. Farmers rely on Crisafulli Pumps to protect crop yields, by pumping water off rain-saturated fields, as well as supplying water to flood and furrow-irrigated farmland. Strawberry farmers in California and corn producers in the Midwest use their Crisafulli pumps to prevent flooding during heavy rains, while cotton farmers row irrigate with their Crisafulli trailer pumps. Growers who raise cranberries, alfalfa, and rice flood irrigate with high-volume, conveniently portable Crisafulli trailer pumps. With water being such a precious, and costly, resource for growers in California, the capture of tail-water in gravity-fed sumps has become common. From these sumps, Crisafulli pumps return the tail-water so it can be beneficially used. To move dairy waste from pits under their barns, producers often select a Crisafulli vertical pump. When fitted with a slurry gate the vertical pump becomes a mixer. Close the slurry gate to pump the waste away. 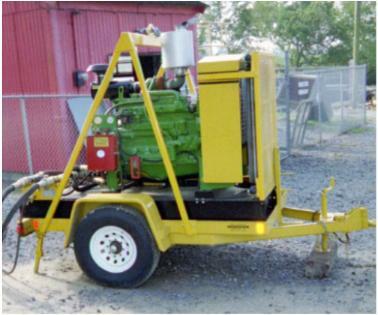 When dairy or hog waste is transferred to pits and ponds, farmers rely on Crisafulli slurry trailer pumps to mix and pump the waste for field land application or injection. Dredge Applications. To dredge canals, clean ponds or lagoons of sludge, sediment, biosolids and residuals, cut paths to shrimp farming groups, and to harvest peat bogs, farmers and ranchers use the popular self-propelled Rotomite-6000 and remote controlled and automated FLUMP dredges, all manufactured and serviced by SRS Crisafulli. Dredge Rentals. Crisafulli also rents its dredges on short-term leases coupled with purchase options.